The WAGNERTUNING racing intercoolers are available in the "Performance" and "Competition" version. CAD-developed freeform endtanks made of cast aluminum ensure an even internal air flow. 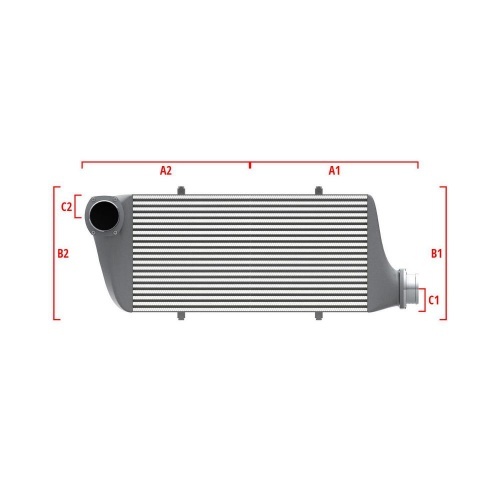 The intercoolers are optimized so that they achieve the best possible cooling performance with the least possible back pressure. Our intercoolers can be ordered with an anti-corrosion coating with excellent heat transfer properties, which guarantees optimum protection against all weather conditions. All our products are subject to constant qualitative monitoring. 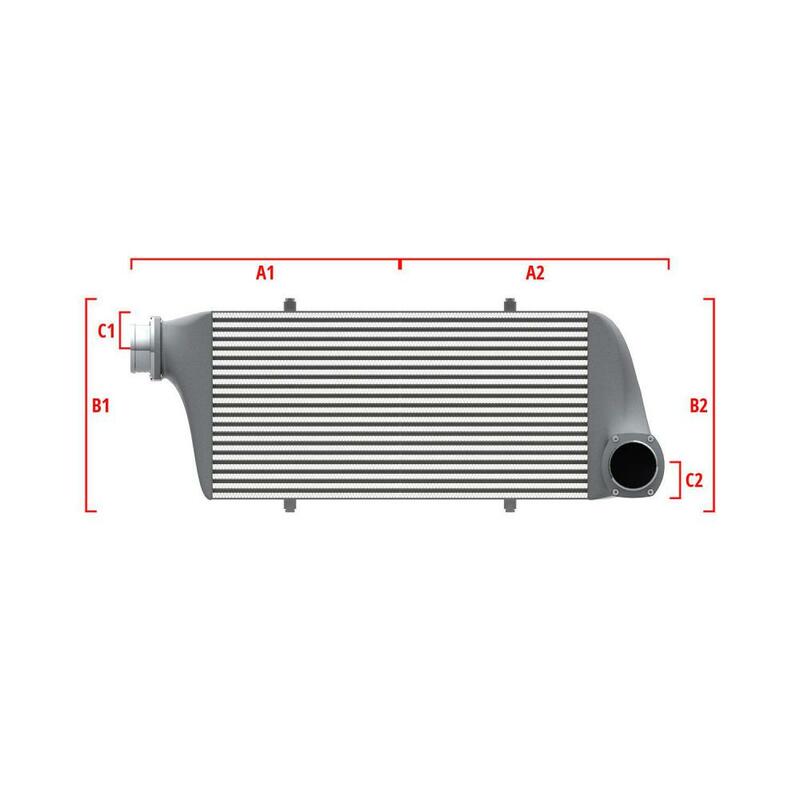 The dimensions of the intercooler are shown in the figure.